If you are searching for a home in Arlington or Lakeland, TN there are many ways that you can get started. The more that you know about this process the better off you will actually be when it comes to finding your dream home. This is not to say that you are guaranteed of anything, but at the very least you should be able to get some ideas as to what is available in Arlington or Lakeland, TN. When searching for a home you will most definitely want to use the Internet to your advantage. Many years ago this may not have been possible, but in today’s day and age the Internet has a lot to offer. The best thing about searching for a home online is that you never have to leave your home. Why would you want to drive around searching for a home that you do not even know exists? Instead, you could be searching for a home online and finding property after property. Sure, you will still have to go out and see a home in person once you find one that you like, but by starting your search online you will be able to cut out a lot of stress and wasted time. Another reason for searching for a home online is that you will lower your chances of missing out on something that really suits your needs. So many people make the mistake of searching for a home in Arlington or Lakeland TN by driving around, and in turn they miss out on properties that they would really like. This is not to say that your only option is the Internet, but you should at least use it to supplement your other methods. The fact of the matter is that by searching for a home online you will lower your chances of making a mistake. And when buying a home this is something that you will most definitely want to do. Overall, using the Internet to find a home in Arlington or Lakeland TN is a great idea. This will give you the ability to find several properties that suit your needs without having to leave your computer. Searching for a home has never been easier. Why not use the Internet to your advantage? The bottom line is that this method cannot hurt you, it can only help! With this knowledge you can know go out and find houses only relevant to your search. No longer will you have to weed through the stacks of possible houses that you have no interest in, instead all of the houses in Arlington or Lakeland TN that you might like to look at will be on the top of the list. This is the philosophy I have implemented in my new state of the art website. 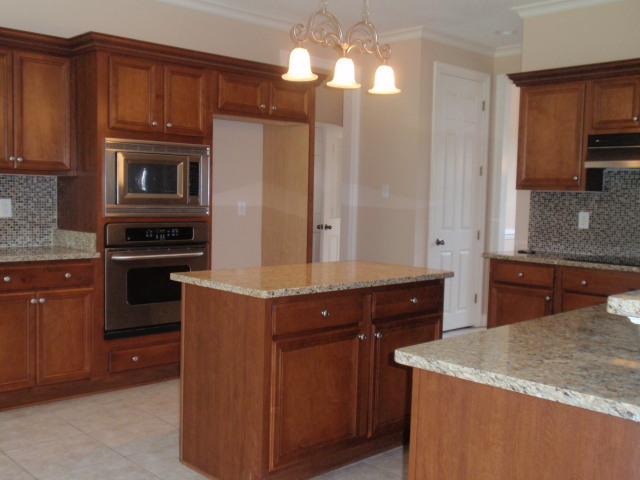 It allows you to find the house in Arlington or Lakeland TN that you have always dreamed of. So check it out give me a try & let my website work for you so you don’t have to. 1.Going at it alone: It is very tempting for buyers to go out and pick up real estate magazines around Lakeland, TN looking for their new property. It seems like it would be very simple to purchase your own home without the use of a Lakeland, TN Real Estate Agent. However, this is one of the most dangerous mistakes that buyers make because the real estate process in Tennessee is a complicated one. There are many regulations and laws that are vitally important during the process. Using an experienced, qualified agent is important to protect the buyer. 2.Not getting Pre-Qualified: In all of the excitement of looking for their new property, many buyers start looking before they get pre-qualified with a mortgage lender. This is not a good thing to do because of several reasons. First of all, the seller is going to want to see some kind of documentation from a lender that the buyer can qualify. Secondly, buyers often find themselves very disheartened when they start looking at properties that turn out to be above their price range. It’s very hard to go down in price range once you’ve looked at houses that are above what you can afford or comfortably afford in monthly payments. 3.Not pinpointing specific search criteria: It’s very important to pinpoint exactly what you want in a property before you start looking. This will help you avoid settling for a property that doesn’t really meet your needs. It will also help the real estate agent that is assisting you to narrow in on the perfect home for you. For more free information on buying a new home in Lakeland TN , visit my website at www.CGriffithRealEstate.com. You can find free tips and tricks about buying homes in Lakeland TN as well as information on properties that have recently sold. You can also call me directly at 901-461-5590. Updated/Remodeled!!! Beautiful 5 Bedrooms and 1 Bonus with 4 Full Baths Available for Sale! Updated and Ready for New Home Owners! 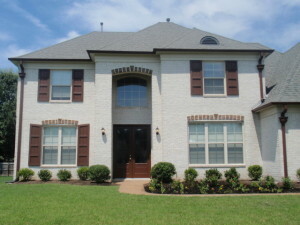 This Fantastic Property is located at 4555 Devan Woods Cv. in Upscale Bartlett, TN 38002. 5 Bedrooms and 4 Full Baths, (1) Bonus, 2 Master suites – 1 Upstairs and 1 downstairs, Bonus Room with closet, Gorgeous Granite Counters in Kitchen with Island, Built-In -Oven & Microwave, Cooktop, Dishwasher and Plenty of Cabinet Space. Breakfast Room with Great Lighting, Butlers Pantry, Dining Room, Study and Living Room, Separate Laundry Room, 2 Bedrooms and 2 Baths downstairs, 3 Bedrooms and 2 Baths up Plus Bonus or could be a bedroom (has Closet) . NEW: Flooring, Lighting, Granite, Fresh Paint on Exterior and Interior, Completely Remodeled including Beautiful New Hardwood Floors, New Carpet, New Granite, New Lighting, Landscaping and so Much More!!! **UpStairs Plan: (2ND) Master Bedroom with on-suite Full Bath, 2 bedrooms, Bonus Room (with closet – could be a bedroom) and 1 Full Bath - (Total 3 Bedrooms with Bonus and Full Bath). **All information is deemed reliable but not guaranteed. Open House 1-3 Saturday August 2, 2014! 4555 Devan Woods Cv. Bartlett, TN 38002 – Stop by and see the Great New Remodel! Stop by and See the Great Remodel Saturday 8-2-14 from 1-3PM!! 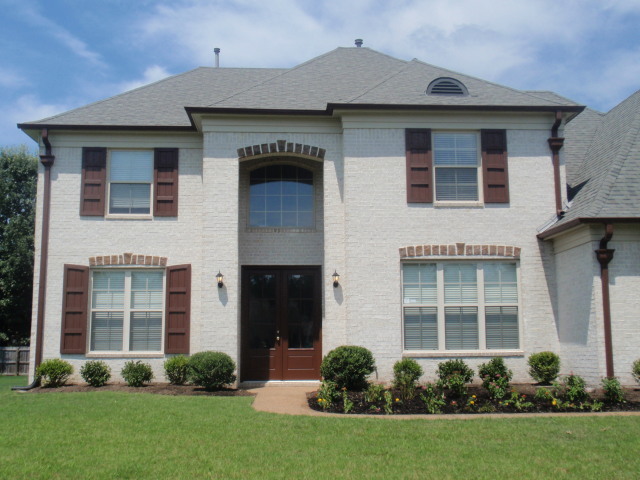 Gorgeous Remodel in Bartlett, TN 38002 – 4555 Devan Woods Cove! List Price $289,900 MLS# 9332271 Lookinf for MOVE-IN-READY and Remodeled Home to Buy! Contact Chris Today or Appt. 5 Bedrooms, 4 Full Baths + Bonus. Completed Expandable could be 5TH Bedroom or Media Room. 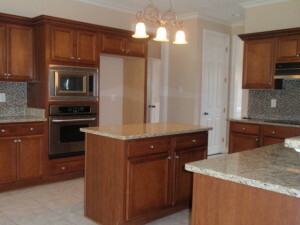 New Granite, Flooring, Lighting and SO MUCH MORE! MUST SEE! When it comes to putting your home on the market for sale, there are many different considerations to make. In fact, it can be a frustrating and challenging time as you prepare to get your home in shape to go on the market. No one knows this better than local real estate agent Chris Griffith in Lakeland Tennessee. There is no question that the real estate market all over the country has been challenging for the last couple of years. Chris Grifith says that this is why it is more important than ever to make sure that your home is in proper condition to be put on the market for sale. Sometimes, sellers can be emotionally attached to their home in such a way that they might not see what needs to be repaired or replaced before listing a home for sale. This is where a professional and experienced real estate agent becomes a necessity. What home sellers don’t often understand about Lakeland, TN real estate agents is that they are on the ground each and every day looking at homes and assessing the competition. In other words, they regularly see who your competition is on the market and can help you make your home look as good as possible to give it the best chance of selling. In fact, real estate agents have a list of qualities that the home should have to make it the most salable. They may be able to give you tips and tricks on ways that you can stage your home to create the appearance of more space, for instance. These tips can be invaluable for a home seller who needs to get their home sold quickly. There is a lot of great free information available to you about buying, investing or selling in Lakeland, TN real estate. For more information about the Lakeland, TN real estate market, be sure to visit the website that provides information on current homes for sale, property values and more: www.LakelandTennessee38002.com. You may also feel free to contact me with all of your real estate or mortgage related questions at 901-461-5590 or even e-mail me at Chris@FirstNationalRealty.com.